Provide comfort for the family of William Redman with a meaningful gesture of sympathy. William, 85, of The Villages, Florida, formerly of McDonald, passed away on Wednesday, April 3, 2019, in the Villages Regional Hospital with his family by his side. He was born April 23, 1933, in Sturgeon, PA a son of the late William and Marie Delmontague Redman. In addition to his parents, he was preceded in death by his wife of 55 years, Barbara Fisher Redman. 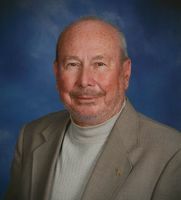 William was formerly a member of McDonald Presbyterian Church and currently a member of North Lake Presbyterian Church in Florida. He was employed as a manager in Pittsburgh for Bell Telephone Company for 30 years and was a U.S. Army Veteran. He enjoyed playing bridge, fishing, tennis, golf and gardening. Even after his move to Florida, he remained a faithful Penguins and Pirate fan. Surviving are his children, Teri (Jerry) Runtas of McDonald/The Villages and Deborah (Frank) Nagode of Coraopolis; grandchildren, Daniel (Christine) Nagode and Kylie(Ren) Litman; great grandchildren, Ava Grace and Lydia Margaret Nagode, and Lucy Jane Litman. He is also survived by his sister, Betty Weatherell of Oregon; nephews, Jim, Jeff and Tom Weatherell. Friends will be received 2-4 and 6-8 p.m. Wednesday in the Thomas-Little Funeral Service, Inc. 314 W. Lincoln Avenue, McDonald, (724-926-2800). A funeral service will be held at 10 AM on Thursday Interment will follow in Robinson Run Cemetery. To send flowers in memory of William J. Redman, please visit our Heartfelt Sympathies Store. Marc, Merryl and Deb sent flowers to the family of William J. Redman. 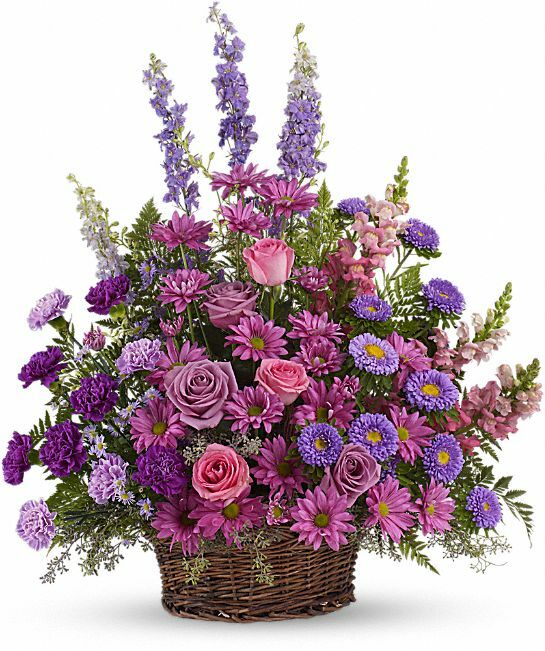 Marc, Merryl and Deb purchased the Gracious Lavender Basket for the family of William Redman. Dear Redman family, Elena and I are saddened to learn of Billy's passing. While he and I cousins have not seen or talked to each other for decades, I recall our conversations when visiting our grandparents i In Sturgeon. I recall the day he got his job with Bell Telephone as a lineman and how excited he was. We attended his and Barbara's wedding in McDonald and were saddened to learn of her passing. The family connection continued when one of his daughters assisted in some eye treatments for my father before he passed several years ago.